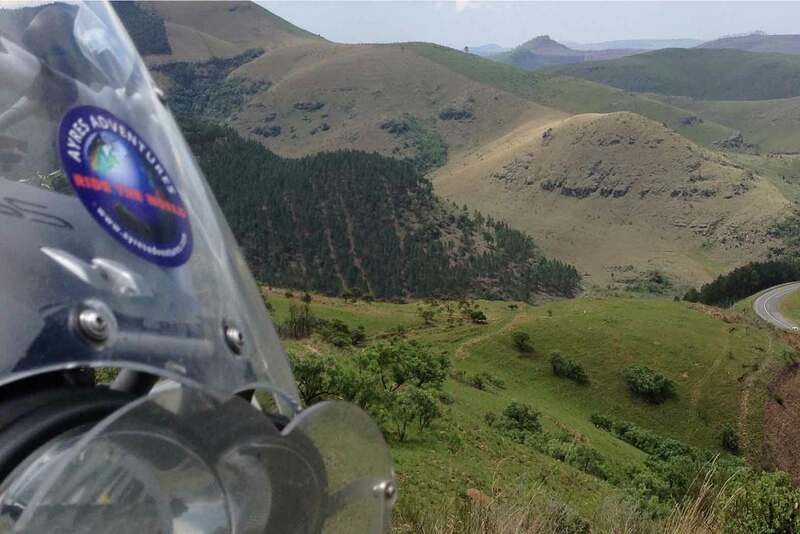 The African Panorama is a “Riders’ Tour” that offers the opportunity to ride the legendary motorcycling roads of the Mpumalanga Province and the vaunted Panorama Route throught the mountains of what was previously known as the South African Transvaal. South African motorcyclists are enthusiastic about riding their sportbikes very briskly, and when they are looking for a great getaway, they head for Mpumalanga and the Panorama Route – a favorite venue for motorcycle rallies and club events. 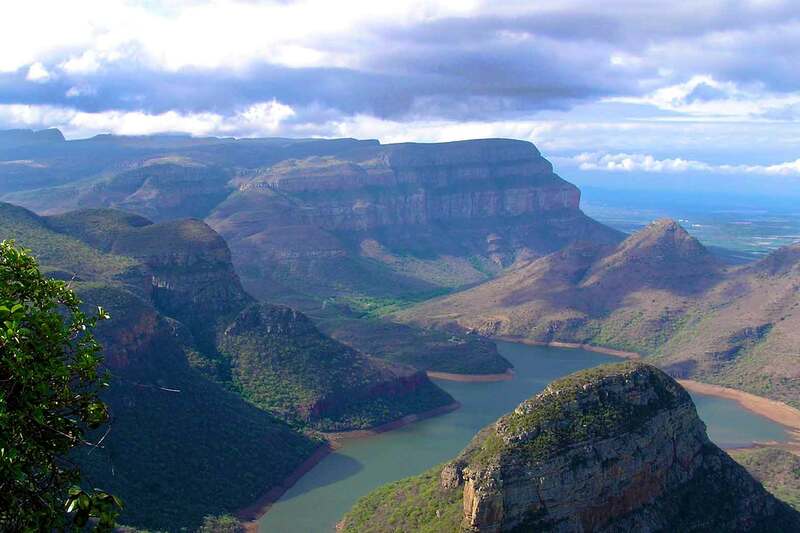 The area is located at the extreme northern tip of the Drakensberg Mountain Range. In addition to the great riding, the area is steeped in history and checkered with numerous monuments commemorating the Boer Wars. Those who have read the Sir James Percy Fitzpatrick’s South African classic and best seller, Jock of the Bushveld, will recognize the names of many of the places featured on the tour. 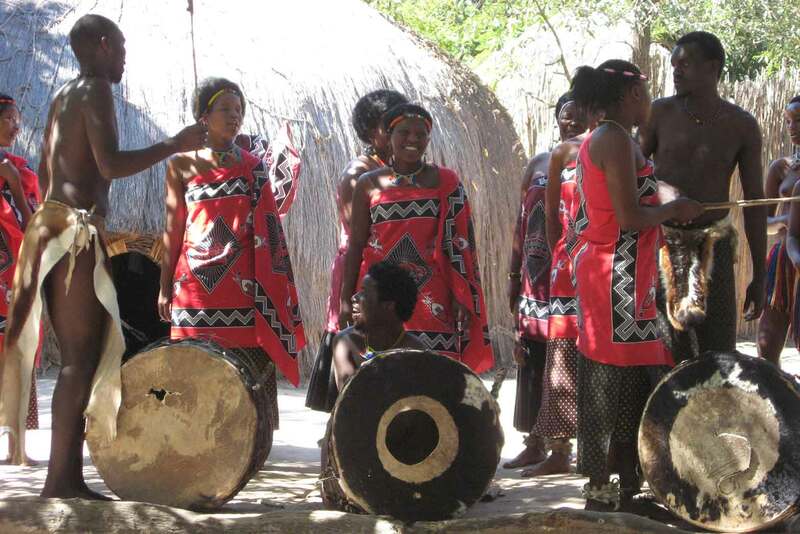 The African Panorama: Great riding, lovely accommodations and meals, and exposure to a wide variety of South African and Swazi cultural experiences. Welcome to South Africa! We will pick you up at the international airport in Johannesburg and transport you to our hotel in suburban Sandton. We’ll turn over the motorcycles and will have a kickoff meeting to introduce you to the coming Adventure. We’ll kick off things with a welcome dinner in the evening. In no time at all we’ll leave Johannesburg behind and enter south Africa’s “Cultural Heartland” – Mpumalanga Province. Our destination is the charming little town of Dullstroom – the fly fishing capital of South Africa. At an altitude of nearly 7,000 feet, Dullstroom is often the coldest place in South Africa but temperatures will vary between 60 and 80 degrees during our visit – ideal riding weather. 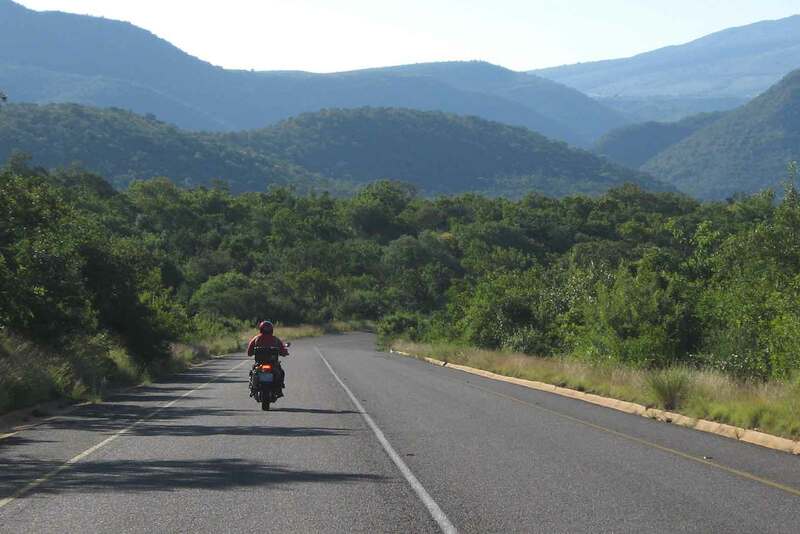 With it’s proximity to the “Big Five” towns of South Africa’s Lowveld, there is no lack of good motorcycling nearby. We’ll leave Mpumalanga Province for a trip to Magoebaskloof in South Africa’s Limpopo Province – South Africa’s northernmost Province which borders three other countries: Botswana, Mozambique and Zimbabwe. 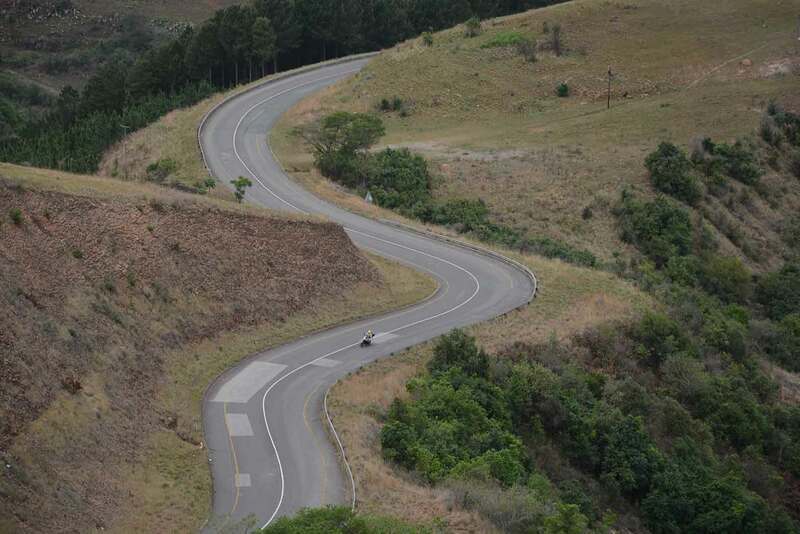 We’ll enjoy several of South Africa’s most popular motorcycling roads on the way to Magoebaskloof, including Abel Erasmus Pass and Tunnel, and possibly Long Tom Pass as well. 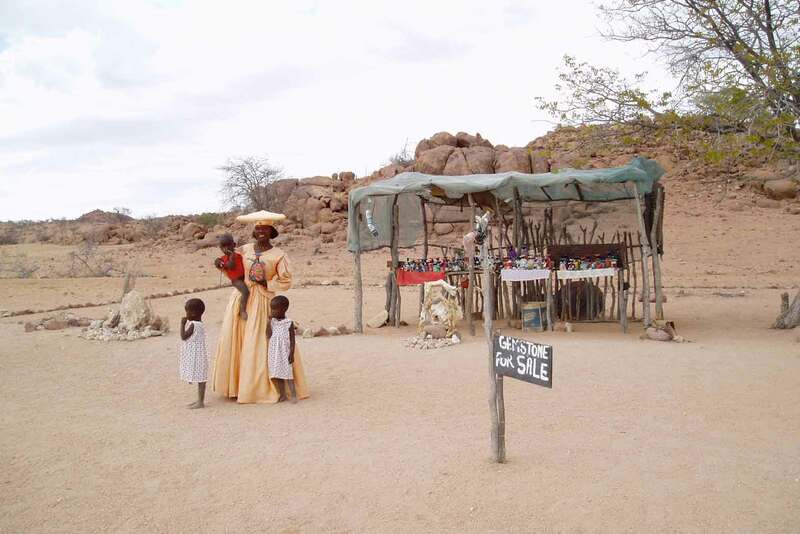 At Abel Erasmus Pass we’ll stop to have a look at various African arts and crafts being sold by local vendors. And don’t worry, we’ll have a support vehicle nearby to help you with anything that won’t fit on the bike. We’ll arrive at our hotel in Magoebaskloof in plenty of time to relax with a drink on the veranda overlooking the beautiful green hills and nearby forests and we’ll also have the opportunity to observe the very rare Samango Monkeys that inhabit the grounds. Because the hotel management is committed to sustainable and environmentally friendly management practices, they have lived in harmony with these monkeys for many years. Samangoes are seen around the hotel on a daily basis. Dominant males sometimes venture into rooms to scrounge for edibles left lying around. We’ll head back to Mpumalanga Province and we’ll once again ride some of the most stunning roads on the African continent. Scenic stops will include several overlooks of the magnificent Blyde River Canyon and we’ll visit the famous Bourke’s Luck Potholes. Riders interested in a short hike through a tropical rain forest may also visit one of the most stunning overlooks of all at God’s Window. Our stop this evening in Hazyview is at “Hippo Hollow” – just a few kilometers away from Kruger National Park – one of the most popular game reserves in Africa. Hippo Hollow is named for the many hippo that populate the local rivers and you’re almost guaranteed to see them during your two-night stay at Hazyview. The hippo is one of the most dangerous animals in Africa (more humans are killed per year by the hippo than by any other animal) and they pose a significant danger while out crossing the roads at night. We’ll be fine, as they are almost never seen on the highways during daylight. 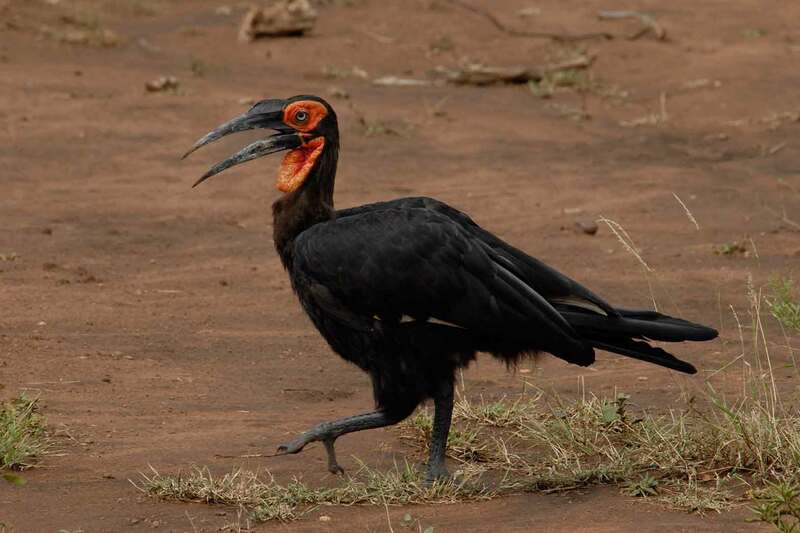 Hazyview will provide a nice two-night stop that will permit us to visit Kruger National Park tomorrow. Safari in Kruger National Park. We’ll leave the motorcycles behind today in favor of some open Land Rover vehicles for an all-day safari in Kruger National Park, including lunch at a game lodge inside the park. 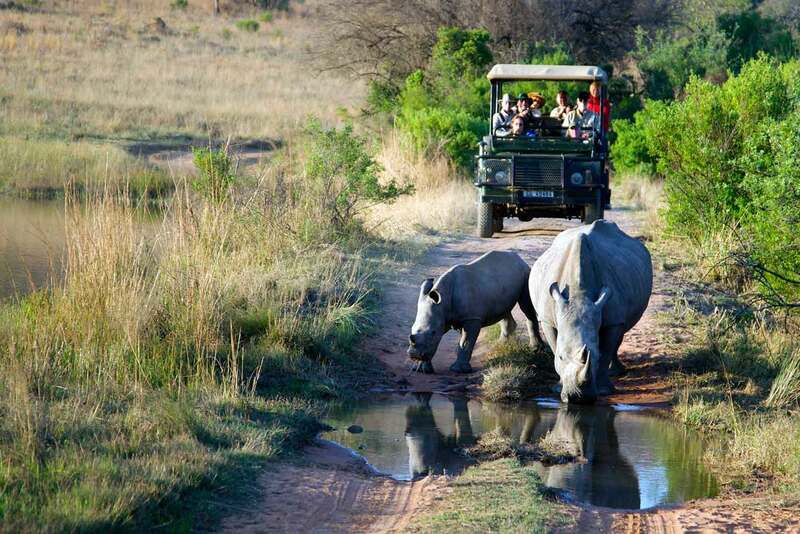 Kruger is one of the largest game reserves in Africa – 40 miles wide and more than 200 miles in length. 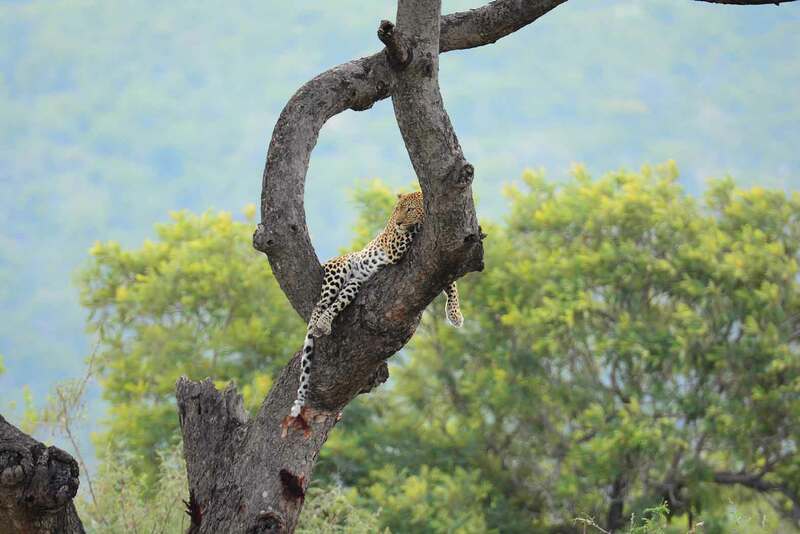 During your day in Kruger you’re likely to have an opportunity to see all of Africa’s “Big Five” – Elephant, Lion, Leopard, Rhino and Cape Buffalo. A popular YouTube video (Battle at Kruger) was filmed during a Kruger safari a few years ago and went “viral”, with more than 20 million views. Click here to see it. Bring your camera and you may be able to capture your own “once in a lifetime” shots. 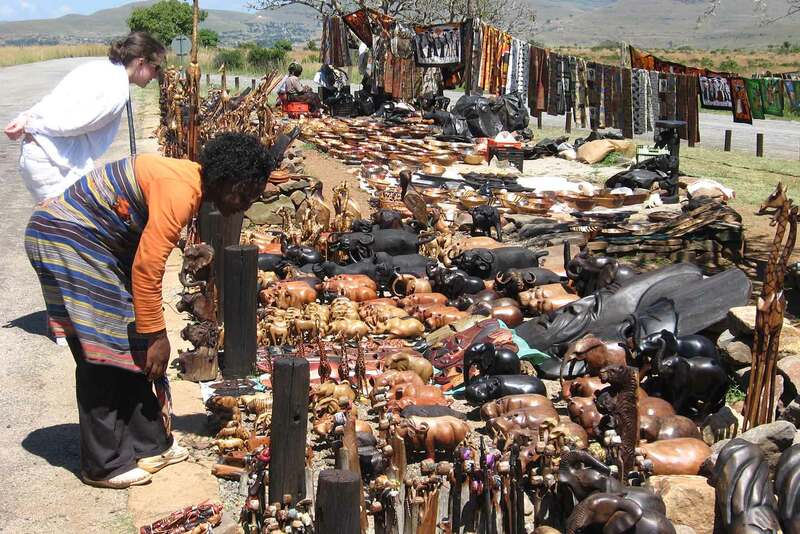 We’ll do a border crossing into Swaziland today, including a stop near the Swazi border for a visit to a Swazi village and cultural experience. We’ll enjoy a beautiful ride through the Swazi Mountains with an overnight stay at a popular hotel/casino. 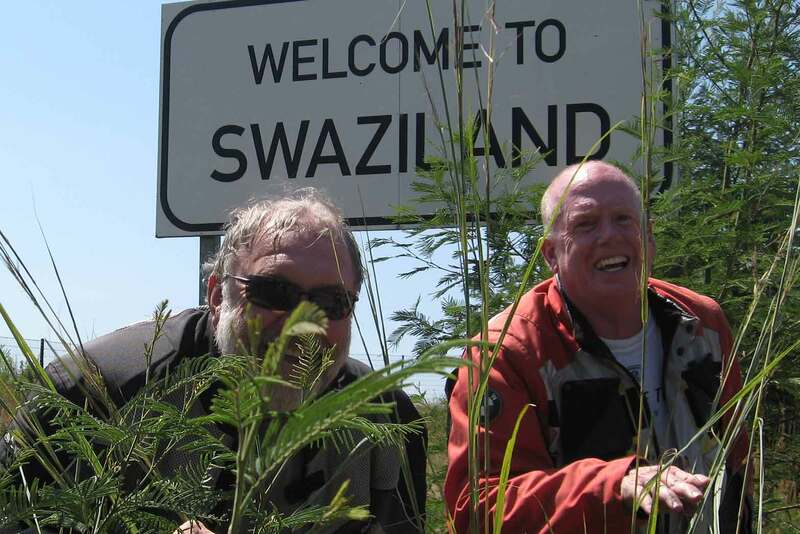 We’ll ride south through Swaziland and re-enter South Africa in the KwaZulu Natal Province. 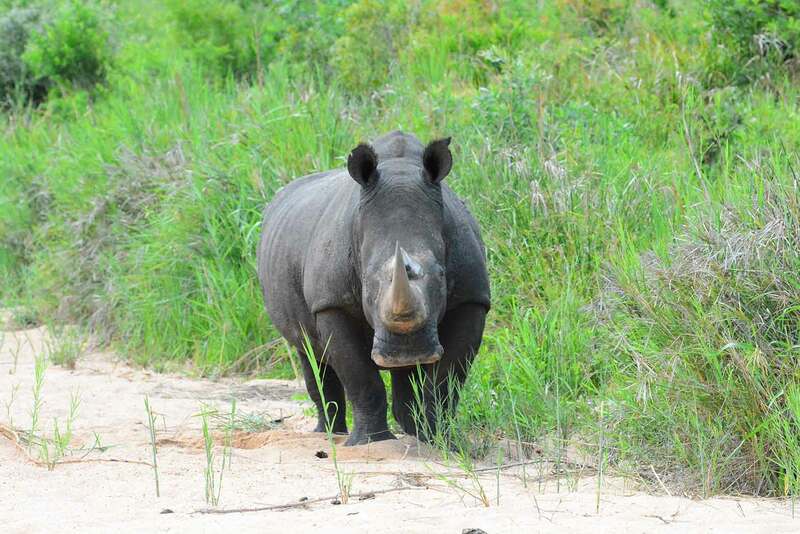 We’ll make our way to iSimangaliso Wetland Park – the third-largest protected area in South Africa. Our stay in St. Lucia includes an optional river cruise, providing the opportunity to enjoy close-ups of the wildlife, including hippo. And now for something different! As we continue through KwaZulu Natal Province and make our way back toward Johannesburg, we’ll have the opportunity to experience life in small South African towns. 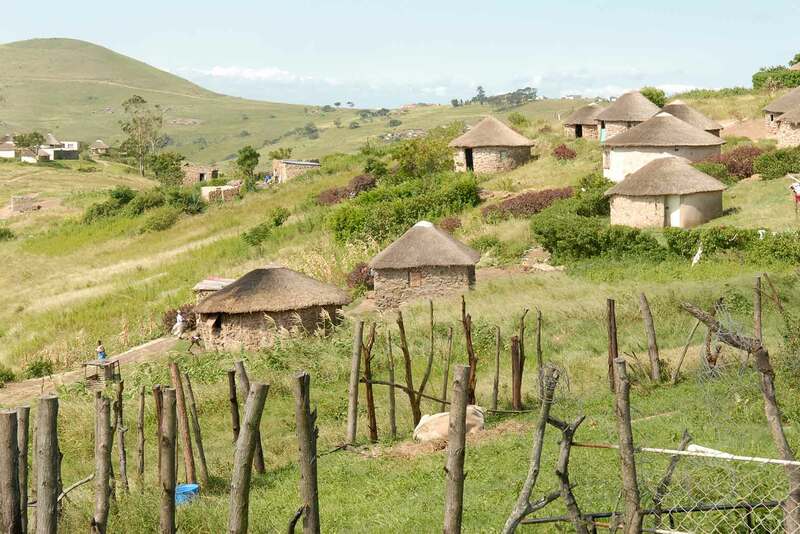 Vryheid is a great example – a charming and peaceful town situated in the center of the Battlefields area, close to the sites where epic battles took place during the Trek or the Anglo-Zulu war. These include Blood River and Rourke’s Drift to name just two. The Battle of Rourke’s Drift was depicted in the 1964 movie Zulu, starring Michael Cain. You may opt to visit the nearby Blood River Monument while you’re in the area. We’ll continue to enjoy scenic, two lane country roads through interesting South African towns as we make our way back to Sandton. We’ll have a final celebration dinner at one of the city’s most popular restaurants on the famous Mandela Square. Departure from Johannesburg. Breakfast and airport transfer. Important note: Much of this tour takes place in the best motorcycling areas that South Africa and Swaziland have to offer. Distances noted reflect direct distances from from one overnight stop to another. Most riders will wish to enjoy the many great motorcycling roads that surround these interesting stops. Daily riding distances will surely be longer than what is reflected in this itinerary. Ride Profile: Total approximate mileage: 2,175 km (1,350 miles) excluding optional additional side trips. Good paved roads. Personal motorcycle: deduct $1,250 from the rider price. This tour is available for private groups. Please call +1 (877)-275-8238 or email us for more details.